serve as legal documents for your business. 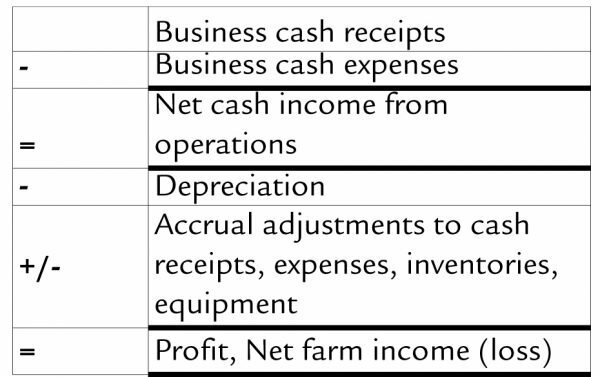 Effective management of your farm business finances will involve several different types of tracking. It’s easiest to understand the value of each form in terms of the primary question that it answers. 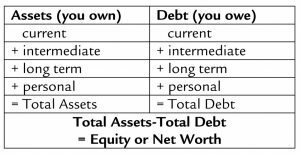 A balance sheet tracks your current, intermediate, and long-term assets and liabilities (or debt). Their purpose is to show your net worth, which is a snapshot that captures what you own minus what you owe, at any given moment in time. Cash Flow statements track expected cash expenses and income by category for a set period of time and can help you keep track of your liquidity and future cash needs. Cash Flow statements do not calculate profit or include non-cash assets or debts outside of payments owed during the time period you are tracking. They are one of the few financial statements that usually include both your business and personal finances. Also known as an income statement, the Profit and Loss statement measures your sales, expenses, depreciation, and profit. It tracks how revenue is transformed into net income over a set time period, usually a year. Depreciation is included because it is a write-off. In other words, it is an expense that will not realize any return. The principal paid on loans is not included in the expense line. This is because it results in an increase in assets, and is therefore not an expense that comes out of profit. The profit shown does not represent cash on hand. Family living expenses are not included. Accrual, such as sales that have been made but not paid for, or items that you have purchased but not paid for, is included. Unlike the Balance Sheet, the Profit and Loss is in constant flux and should be tracked in an ongoing way. Alternatively, the Balance Sheet is a snapshot that acts as a monthly checkpoint. There are several simple ratios you can use to measure your farm’s financial health. Measures solvency, or what part of the business is owned by creditors and what portion you own. The ratio is: total debt / total assets. Ideally, the debt-to-asset ratio should always be less than 0.70. Measures liquidity, or your ability to pay bills as they come due. The ratio is: current assets / current liabilities. Best if the current ratio is greater than 1.0. Measures profitability, or how hard your assets are working. The ratio is: (net farm income-family living) / total assets. Compare the return on assets to the going rate on a CD. Accuracy is important. Data entered into the statement is just as important as the system itself. Accrual: Accounts on a balance sheet that represent liabilities and non-cash-based assets used in accrual-based accounting. These accounts include, among many others, accounts payable, accounts receivable, goodwill, future tax liability, and future interest and expense. Assets: A resources with economic value that an individual, corporation or country owns or controls with the expectation that it will provide future benefit. Debt: An amount of money borrowed by one party from another. A debt arrangement gives the borrowing party permission to borrow money under the condition that it is to be paid back at a later date, usually with interest. Equity: In finance, in general, you can think of equity as ownership of any asset after all debts associated with that asset are paid off. Liabilities: A company’s legal debts or obligations that arise during the course of business operations. Liabilities include loads, accounts payable, mortgages, deferred revenues and accrued expenses. Liquidity: The degree to which an asset can be bought or sold in the market without affecting the asset’s price. The ability to convert an asset to cash quickly. Net Income: A company’s total earnings (or profit). Net income is calculated by taking revenues and adjusting for the cost of doing business, depreciation, interest, taxes, and other expenses. Net Worth: The amount by which assets exceed liabilities. Profit: A financial benefit that is realized when the amount of revenue gained from a business activity exceeds the expenses, costs and taxes needed to sustain the activity. Revenue: The amount of money that a company actually receives during a specific period. It is the “top line” or “gross income” figure from which costs are subtracted to determine net income. 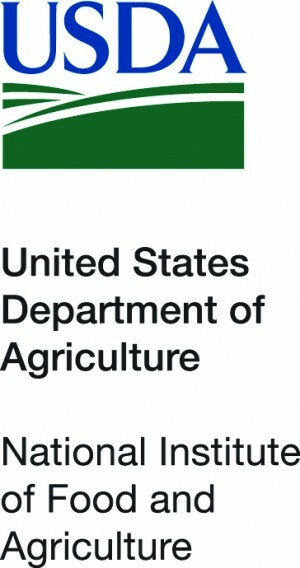 This material is based upon work supported by USDA/NIFA under Award Number 2010-49200-06201. Click here to return to the Financial Planning page.